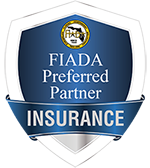 There are distinct differences between the way “traditional dental insurance plans” and “discount dental plans” work. As a general rule, dental insurance is utilized by large groups and businesses to cover their employee’s dental care. Dental insurance is considered true insurance where monthly premiums are paid for defined coverage. Dental insurance is not readily accessible to individuals and families, unless provided by their employer. Some drawbacks of dental insurance include annual spending maximums, deductibles, waiting periods for certain procedures, and limitations and exclusions on care. There are also claims forms to fill out and submit. Dental insurance usually covers the cost of preventive services (such as cleanings and exams) at 100% after deductibles are met. Annual deductibles vary from $25 to $50 per covered individual, depending on the policy. The cost of deductibles should be considered when calculating the overall costs associated with dental insurance. While you are able to use any dentist, the monthly premiums for dental insurance may be as much as $30 per month for individuals and over $100 per month for family plans. Discount dental plans, on the other hand, are available for the millions of Americans that do not receive dental benefits through their work or business. Discount dental plans are designed to provide consumers access to dental networks at reduced rates. These plans, are commonly known as “referral” or “reduced fee” plans, and are not considered an insured dental plan. Discount dental plans are affordable to join and are the most widely available dental programs for individuals and families. These discount plans work differently than dental insurance plans, yet provide consumers with real and substantial savings on most dental procedures. Discount dental plans are membership-based programs that usually provide coverage on an annual basis. Consumers pay a membership fee in exchange for secured discounts on most dental services, such as dental exams, routine cleanings, fillings, extractions, root canals, dentures, crowns, and braces. These plans typically save the consumer ten to sixty percent off standard out-of-pocket fees when visiting a participating network provider. Most discount dental plans provide a “fee schedule” with the discounted fees listed out in the membership materials to ensure consumers will receive their promised savings. While there are several differences between traditional dental insurance plans and discount dental plans, they can also be used together in certain situations to maximize savings. If you are looking for group dental insurance via your business or employer, you can contact us for further information.